Rowena Gilbert continues her gaze skywards to consider the chaos and calm of the heavens. Working with different shades of charcoal grey and slate to evoke the night sky, the pieces consider the nature of the expanding universe. In swirls of vivid yellow we see galaxies, and Rowena's free, gestural marks hint at the accretion and collapse of stars. 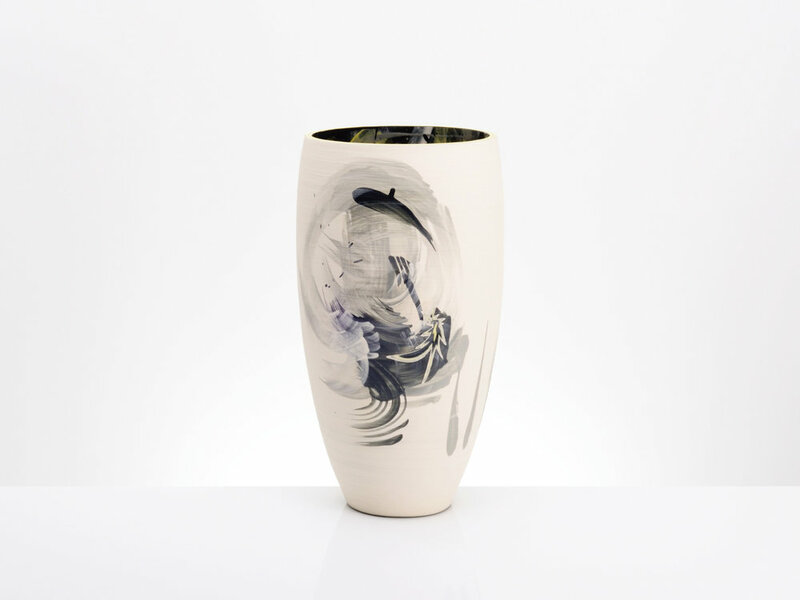 Rowena works within the language of abstraction to evoke the elemental power and ever-shifting dynamism of nature. In doing so, she has relinquished conscious control and freed herself from the constraints of the rational mind. The result is a body of work that communicates not through narrative and figurative forms, but through mood and momentum. 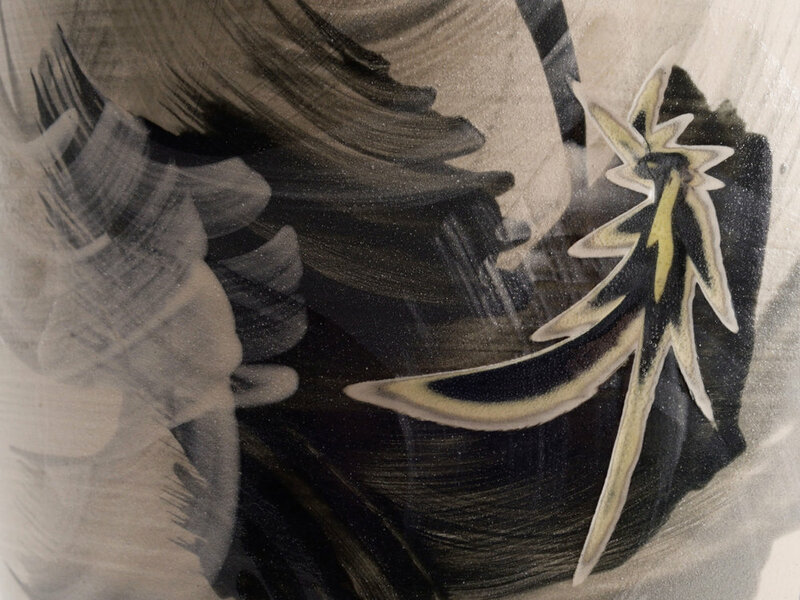 To achieve this freer, more spontaneous aesthetic, Rowena has reinvented her own craft through months of experimentation, invoking the laws of chance and allowing each piece to evolve and reveal itself naturally through the production process. Clay slips are painted on in layers, before being carved into freely and accented with glazes applied intuitively like brush strokes.